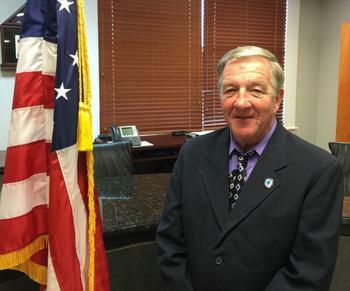 Jerry L. Goforth is serving his first term as District Three Supervisor. He was elected in November 2015 and took office on January 4, 2016. Mr. Goforth has lived in the House Community of Neshoba County most all of his life. He has been married to Kathy Link Goforth for 42 years. They have three children: Brian, Isaac and Shannon, who have all graduated from Neshoba Central High School; and, they have six grandchildren. Mr. Goforth has been employeed at Weyerhaeuser in Philadelphia for 40 years and attends Pleasant Grove Baptist Church.